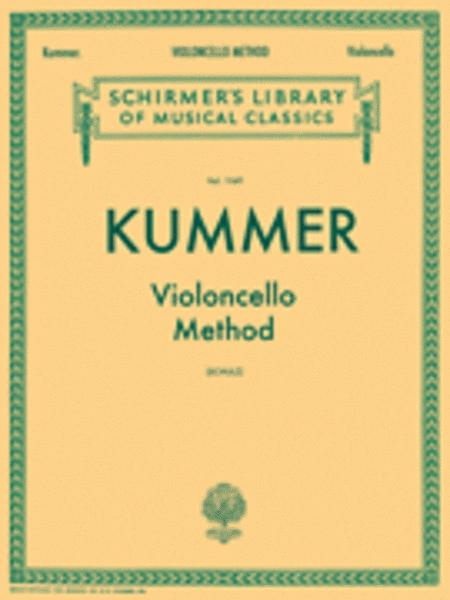 Schirmer Library of Classics Volume 1169 Cello Method. 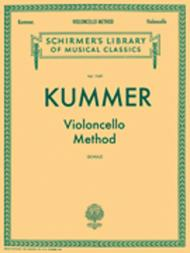 Composed by Friedrich August Kummer (1797-1879). Edited by Leo Schulz and L Schulz. String Solo. Studies and Learn To Play. Cello studies book. With introductory text, instructional text, standard notation and fingerings. 125 pages. G. Schirmer #LB1169. Published by G. Schirmer (HL.50258060). harmonies. With the first 30 pages of this book are some of the most valuable lessons a cellist needs. Advanced playing is also developed with the book, and awaits the practice and skills of the learner. sound like a cello player. The exercises in the beginning of the book are very challenging, but I'm up for the challenge if it helps my skills. 20 of 33 people found this review helpful.